The Yorktown class was a class of three aircraft carriers built by the U.S. and completed shortly before World War II. They immediately followed Ranger, the first U.S. aircraft carrier built as such, and benefited in design from experience with Ranger and the earlier Lexington class which were conversions of two battle cruisers into carriers that were to be scrapped to comply with an arms limitation treaty. These ships bore the brunt of early action in the Pacific War, and two of the three were lost: Yorktown, sunk at the Battle of Midway, and Hornet, sunk in the Battle of the Santa Cruz Islands. 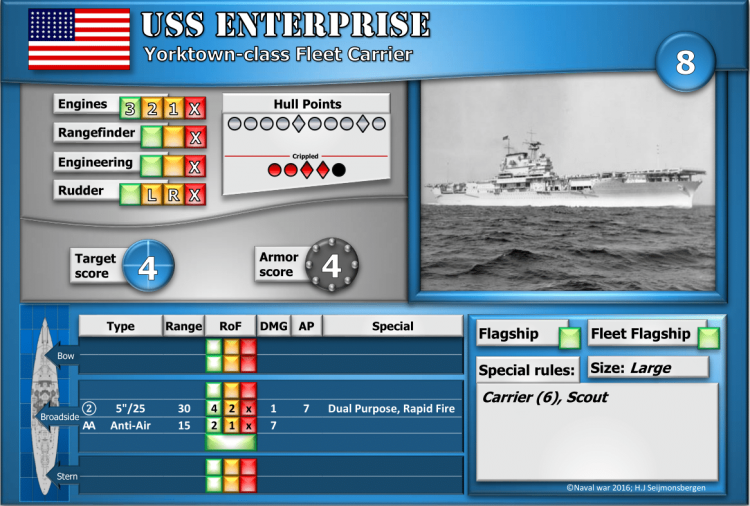 Enterprise, the sole survivor of the class, was the most decorated ship of the U.S. Navy in the Second World War.